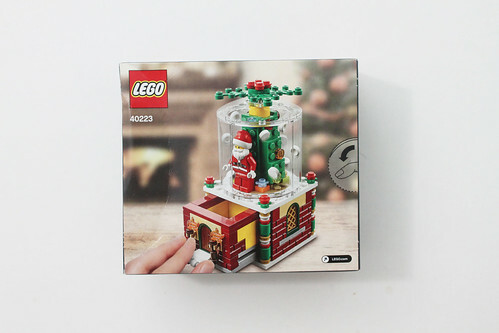 We’re getting close to the Black Friday/Cyber Monday weekend and for the last couple of years, LEGO has been giving away some great holiday sets for their gift with purchase promo and it looks like 2016 continues the trend. 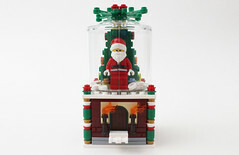 For this year, LEGO will be giving away the Seasonal Snowglobe (40223) with purchases of $99 or more from November 25-28, while supplies last. VIP members already got early access to the set this past weekend. 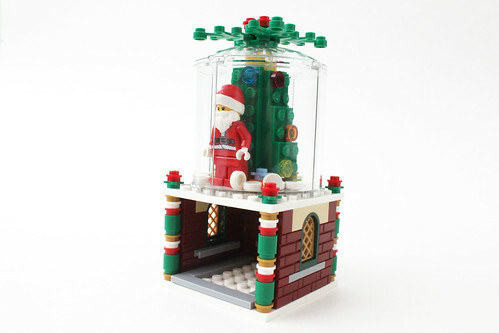 The Snowglobe consists of a 215 pieces which are in three un-numbered bags. 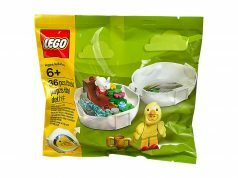 If you check the parts inventory, there are a number of rare pieces in this set. 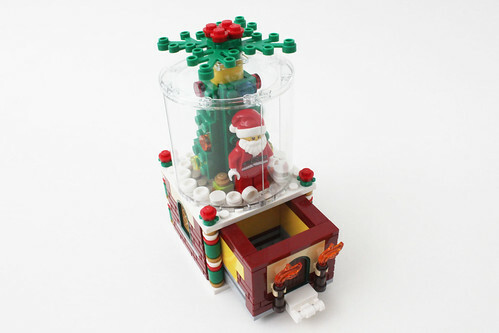 The build of the Snowglobe is in three parts, the base, globe area, and the pull-out drawer. 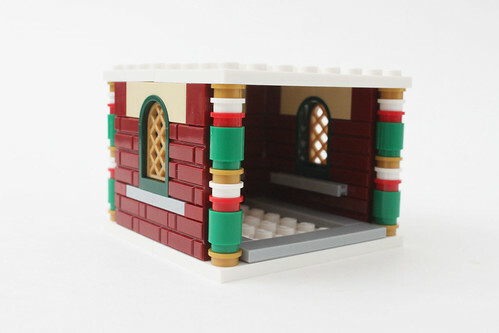 The base is 8×8 house-type setting with windows on the sides and a hole in the front for the drawer later on. 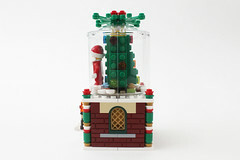 For the globe area, you have the Santa minifigure inside along with a Christmas tree. There are also fourteen 1×1 white round tiles to represent the snow. 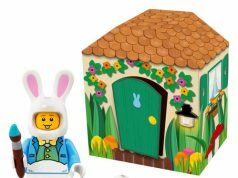 Lastly, you have the drawer which is also the front of the house complete with the door and torches. 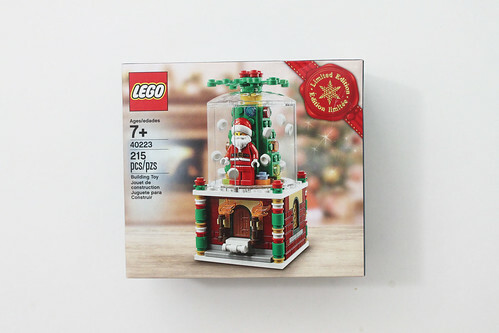 You’ll notice that when building the drawer, there are some unsightly yellow bricks that do not match the overall color scheme of the Snowglobe itself. 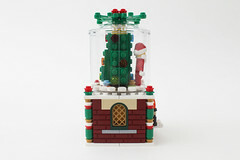 Overall, the LEGO Seasonal Snowglobe (40223) is a very neat set. 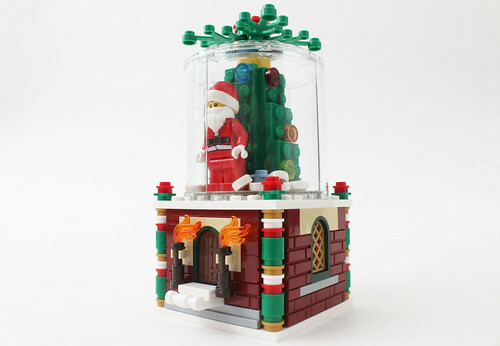 Although we’ve seen some good sets during the holidays in the past, this year’s set is probably one of the best produced so far. The “snow” pieces don’t actually float but you can shake it around to somewhat simulate it. The drawer area is a good extra to put your little trinkets in. 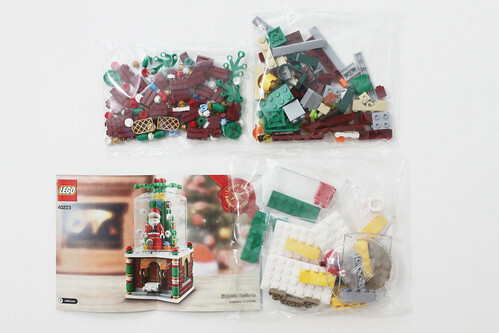 Thank you to LEGO Affiliate team for sending in this set for me to review. The content above represents my own opinion and not the company. Review sets sent in does not guarantee a positive review.